P.J. Tucker does not lack for respect. He is the kind of player that coaches and executives track down after games to express their admiration. He is the kind of player who, for people who use terms like switchability and real plus-minus, inspires gushing monologues about defensive prowess and versatility. James Harden is on the record saying he hated Tucker before they were teammates (and fashionmates). Chris Paul is campaigning for him to make first-team All-Defense. Kids, however, do not grow up wanting to be P.J. Tucker. They want the ball in their hands with time running out and every eye in the arena on them. They picture themselves taking an impossible-looking shot over two defenders with the game on the line and scowling when it falls through the net. You probably remember Harden doing exactly that in early January against the Golden State Warriors. You don't remember the 33-year-old Tucker chasing Kevin Durant more than 30 feet from the basket and challenging a deep 3 on the next possession, sealing the Houston Rockets' victory. "Let's just be 100," he said. "Nobody dreams of getting a stop on the last play." Tucker grew up wanting to be Larry Johnson, the Charlotte Hornets' high-flying scorer. "I had the part down the middle," the Raleigh, N.C., native said. "I had the get-up, I wore his shoes. You see early pictures of me when I was a kid, I really thought I was Larry Johnson. It was funny. Like, that was like my thing." At the University of Texas, Tucker wore No. 2 because of Johnson. Converse commercials from the early nineties featuring Johnson as "Grandmama" in a flowery blue dress still give him chills. Tucker's other favorite player was Charles Barkley, who once responded to criticism by saying, "I can't play defense and score and rebound, too." Even in college, Tucker didn't think much about that end of the floor. As a junior, he averaged more points and rebounds than teammate LaMarcus Aldridge. Both were post-up players, but the 6-foot-11 Aldridge was taken No. 2 in the 2006 draft. Tucker, considered undersized at 6-foot-5, went 33 spots later and spent much of his rookie season in the NBA Development League before the Raptors waived him. For the next five years, he trekked around the world, playing in Israel, Germany, Puerto Rico, Italy, Ukraine and Greece before returning to the NBA. It is not unusual for a player picked in the second round to bounce around before finding his niche. Rarely, though, does a player like that get so good at non-star stuff that he becomes indispensable to a championship contender. Only five players have logged more minutes than Tucker this season. Teams have all sorts of fancy stats at their disposal these days, but none of them measure his ability to close games at center against the Warriors. Or the fact he did that in Game 7 last May hours after undergoing three root canals. "To be honest with you, I don't know if anybody [could replace Tucker]," Rockets coach Mike D'Antoni said. "I'm sure there are some out there, maybe superstars. Maybe. But, then again, I don't think so because he's perfect for us." Jared Dudley never liked to dribble around Tucker. They played together in Phoenix, and during scrimmages Tucker was the same loud, intimidating, physical presence that he is at game time. "I'd always pass, move without the ball," Dudley said. Dudley remembers players trying to get Tucker away from them, hoping he would be called for fouls, wearing their frustration on their faces. Tucker uses his quickness to stay in front of scorers and his strength to stop them from creating space. "You can't move him," Dudley said. Opponents tell him to calm down "all the time," Tucker said. "Come on, man," they might say, or, "Damn, relax." He is not receptive, sympathetic, or in any other way interested in doing so. "If you don't want to play, just get out of the game," Tucker said. "I just laugh to myself because I'm the same all the time. My intensity, energy -- I'm going to touch people. I'm going to hit you. You're going to feel that I'm there. You gotta come out of the game, then, 'cause that's just how it's going to be." Tucker's menacing on-court attitude can't be separated from his story. When he got his second chance in the NBA, he intended to make the most of it. Dan Majerle, an assistant coach for the Suns at the time, took note of his physical tools and the way he studied film. Majerle told Tucker that he could be one of the best defenders ever. Tucker made it his mission to prove him right. Overseas, Tucker had grown accustomed to being the primary playmaker and guarding the other team's best player. "I did everything," he said. "I put teams on my back a lot." He saw that some players didn't want to guard him, taking any opportunity to switch. Others were overaggressive and picked up silly, avoidable fouls. This informed how he approached defending star players, and, when he returned to the league, he had a better understanding of what stars need from role players. "I know how it is," Tucker said. "Obviously, I'm—nobody is as talented as James Harden. But I know what it's like leading a team." Tucker figured out how to stick, which sets him apart from countless others. His reinvention should be heartening for those who fall out of the league, but that doesn't mean it's replicable. "It's easy to say guys can do it," D'Antoni said. "A lot of guys, just, you can't do it. It is a talent to be able to lock in every day, play with energy necessary and be durable and play through pain." Tucker's body and mind put him in a subcategory of a subcategory -- professional basketball players who can slow down their most gifted peers -- and he has to do his grueling job 82 games a year, plus playoffs and preseason. While most pros appreciate dogged defense, it is not an easy thing to love. "You gotta love the results," Tucker said. "You fall in love with the grind. You just fall in love with winning, that feeling of winning and being the best. That overcomes everything. That makes you play harder on defense. That makes you be more dominant. That makes you be more aggressive. When you want something so bad, you'll do everything you can to get it." In advance of a matchup with a formidable foe like Durant, Tucker will do homework. "I'm going to look at my iPad, see his last game, see what he was doing," he said. Regardless of how well he plays, Durant is going to score lots of points. This cannot discourage him, and it will not stop him from preparing. He will pay attention to what plays the Warriors have run for Durant lately, and, when he's on the court, he will play games within the game. Against future Hall of Famers, there are small victories to be had whenever they do something they don't want to do. All scorers know what it's like to be in rhythm, and Tucker is intent on keeping them far away from that feeling. Tucker does not want Durant to touch the ball without working for it. He can live with tough 2-point jump shots but will try to contest them. He does everything in his power to limit pull-up 3s and shots at the rim. "I know his spots," Tucker said. "I know when he gets into his hesitation dribble off the break, I know what he likes to do. So having that in mind, he's still the greatest scorer in the world, so he's going to make a lot of shots. My job is just to try to make it as tough as possible and to make him shoot the ball where I want him to shoot it." To Tucker, an elite defender is someone who communicates, knows his personnel and anticipates "when to help, when not to help, when to blow a play up, when to deny, what play they're running, what they're trying to get." In today's NBA, it helps if you can guard multiple positions. Tucker guards all five. "We know that we're going to plug P.J. in to the best player on the other team," D'Antoni said. "He's going to guard that guy regardless of position. And we can switch off him. He just gives us so many options defensively. I can't calculate the value." Tucker relishes the opportunity to defend deadly scorers because any other mindset would be self-defeating. "That's, like, my joy in life," he said, adding that unheralded NBA players can punish you if you're not ready. Every time he steps on the court, he has to amp himself up. "I always say you have to play two times as hard as the guy on offense," Tucker said. "Especially in this league, with how good people score, it's the most tiring thing in the world. Chasing around Steph Curry or having to be an arm's length away from Kevin Durant at all times, knowing people's moves and trying to beat 'em to it, trying to be physical, it's so much you have to do and it takes so much hard work to guard somebody. Nobody wants to do it. It's not a desirable thing." D'Antoni regularly reacts to Tucker's defensive plays the way you might respond to a windmill dunk. "You could make a highlight reel defensively every game," D'Antoni said. Early this season, the coach and The Athletic's Sam Amick scanned Sports Illustrated's top 100 list. D'Antoni strongly objected to Tucker's placement at No. 84 and argued that he should be near Draymond Green, who was ranked No. 13. When I brought this up, D'Antoni stood firm, explaining that Tucker's defensive versatility and shooting -- he comfortably leads the league in corner 3s made and attempted -- make him ideal for Houston's roster. If D'Antoni was starting a team, a "high-powered offensive guy that you could build around" would be a higher priority, but the Rockets don't need that. "I know there are superstars in the league, but, honestly, once we have two superstars I can't think of anybody else that I would trade P.J. for," D'Antoni said. "Who would you switch him for? And why? What he gives us is invaluable." On Sunday, Tucker wormed his way into the paint and boxed out two Timberwolves as Harden shot a step-back jumper. Three times in two seconds, he jumped and tipped the ball, eventually directing it to teammate Danuel House. Clint Capela got a layup out of it and House was credited with a rebound and an assist. Tucker's work went unrecorded in the box score. "My role is much deeper than the naked eye for most fans or people that watch basketball that don't understand," Tucker said. "They're like, 'Oh, you only had six points in 42 minutes.' Yeah, but you didn't see the eight 50-50 balls I got and that offensive-rebound-kick-out 3." If the general public were to look at defense the same way it does offense, perhaps Tucker would be richer and more famous. Over the course of his career, though, there has been a shift in how he's perceived and how he thinks of himself. By diving into his role as a stopper, at a certain point -- around when television analysts started talking about analytics and efficiency -- Tucker became a Swiss Army knife, not a tweener. 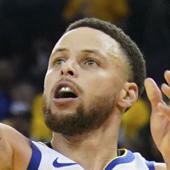 He couldn't conceive the idea of averaging 35 minutes for an NBA team with title aspirations when he was the Ukrainian Basketball SuperLeague's leading scorer. When he signed with Houston two years ago, he did so with conviction, fully believing that he would elevate the team. Two months ago, Tucker said the Rockets were building toward the type of harmony that fueled their run to the conference finals last year. "I don't want to peak now," he said, so he should be pleased with what's happened since. As the playoffs near, Houston has won 12 of 13 games and climbed to third in the West. Tucker never wavered in his commitment to doing the things that no one on the playground cares about, and his coach would rather not think about what life would be like without him. "I don't know where the Rockets would be," D'Antoni said. "I'd probably be home watching TV."